Omar called on Muslim Americans to “raise hell” and “make people uncomfortable” during a speech before the Council on American-Islamic Relations in late March. The Minnesota representative said during her speech that Muslim-Americans “lost access to our civil liberties” after the 9/11 attacks. 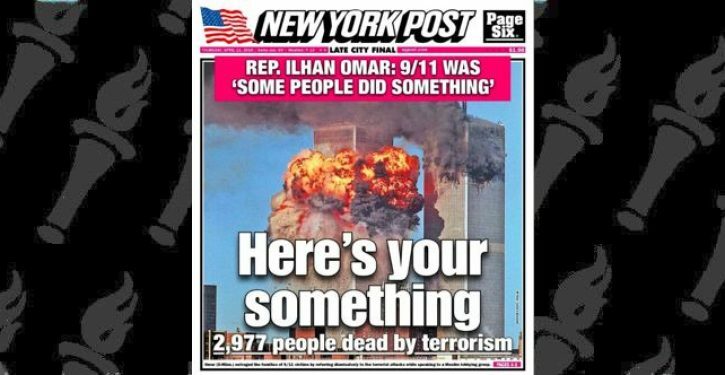 “Here’s your something — 2,977 people dead by terrorism,” the Post’s front page read Thursday with a picture of the Twin Towers on fire the day of the terrorist attack. 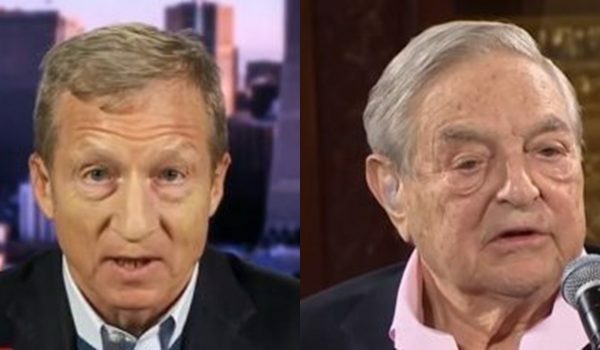 The Post’s front page was “disgusting and dangerous,” Justice Democrats communications director Waleed Shahid tweeted Thursday. The NY Post knows exactly what it's doing – taking quotes out of context and evoking painful imagery to spread hate and endangering the life of Rep. Omar. Shame on them, and shame on Rupert Murdoch.